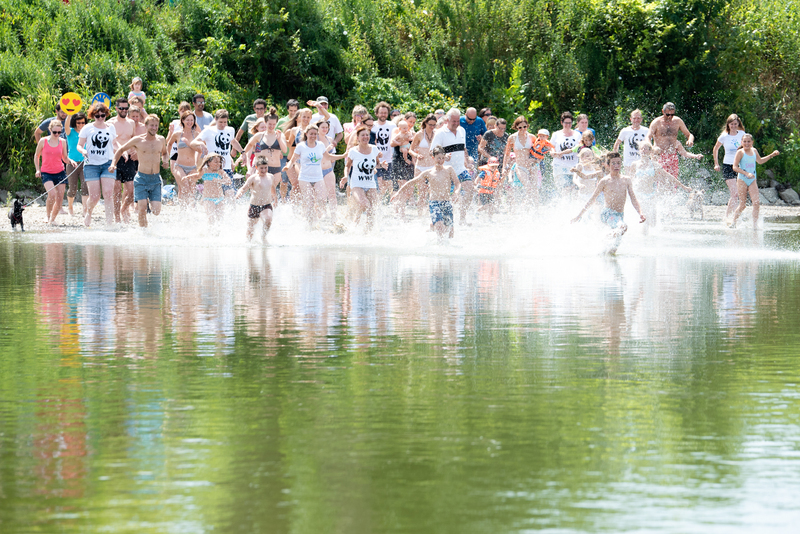 Yesterday, thousands of people across Europe jumped into rivers, streams and lakes in more than 160 European ‘Big Jump’ events. Groups of families and friends were jumping to make a statement and protect our rivers and lakes, and to show that Member States must follow the positive spirit of the EU water law which they committed to: “Water is not a commercial product like any other but, rather, a heritage which must be protected, defended and treated as such”, as stated in the introduction of the EU Water Framework Directive. The public engagement event saw people jumping, diving, wading, kayaking in 18 European countries from Spain to Poland. 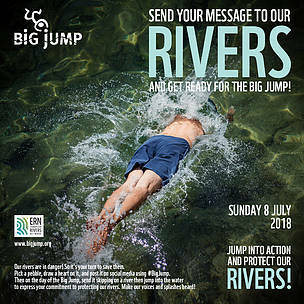 The Big Jump is an annual event founded by European Rivers Network that has taken place since 2002. WWF offices across Europe organised 46 Big Jump events, and used this occasion to kickstart its #ProtectWater campaign to save the EU Water Framework Directive, a crucial legal instrument to protect Europe’s freshwater ecosystems. A landmark policy to its core, the Water Framework Directive recognises that, if we are to secure a sufficient supply of good quality water in the future, we must conserve our freshwater ecosystems. “This Big Jump has shown that people love rivers and lakes. It is a place of pleasure, joy and fun. The abundance of wildlife makes these ecosystems a special place for our threatened nature. However, it is very worrying that Member States have been skirting around their legal commitments under EU water laws for the majority of the past two decades. It is high time to understand that water is the base of all life on earth and not a commercial product like any other,” says Andreas Baumüller, Head of Natural Resources at WWF’s European Policy Office. 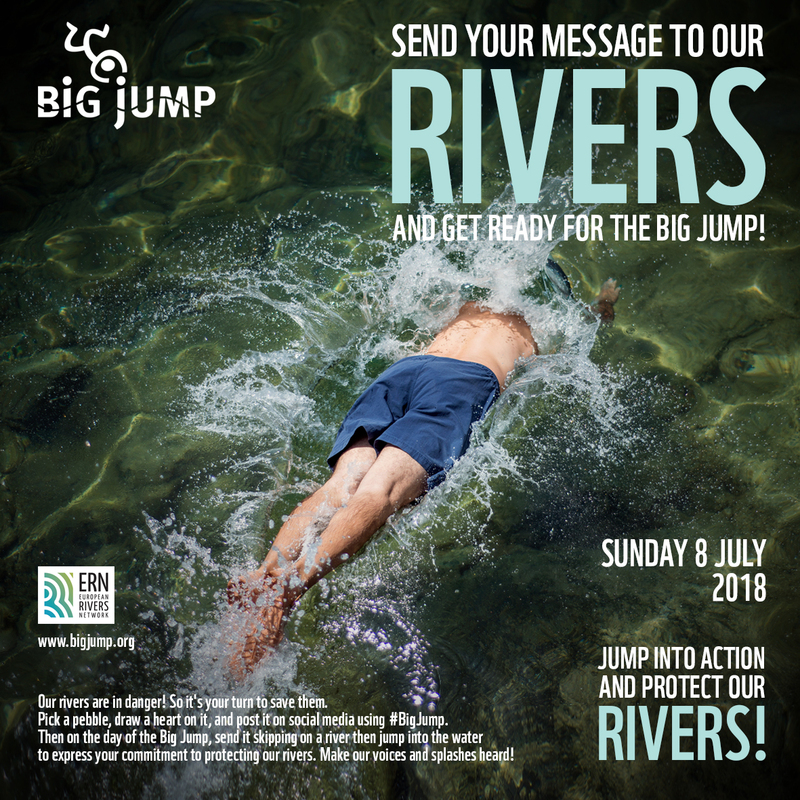 “Sunday was a fun day out in places that people love but with a serious purpose: Europe's leaders must do more to protect our wonderful waterways,” stated Roberto Epple, founder of the Big Jump and chair of European Rivers Network. Across the Green Heart of Europe region, Big Jump was organized at 11 locations in Hungary attracting almost a thousand people, including scouts. In Slovakia, the events took place on the Danube River at the capital Bratislava, the Hron at Banska Bystrica and the Vah at Trencin and Liptovsky Mikulas. In Ukraine, WWF asked people to take photos and videos of themselves and friends jumping in the river and many did. Founded by the European Rivers Network in 2002, the Big Jump is an open source event that aims to remind people of how valuable Europe’s rivers, lakes and wetlands are. The Big Jump seeks to inspire people to remember the powerful ties that bind them to freshwater ecosystems, and encourage them to join the fight to save them. 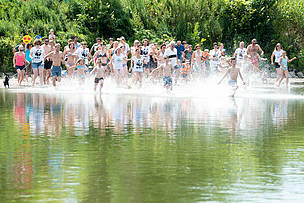 Since 2002, around 200,000 people have taken part before in over 2000 events. By restoring people’s connection to rivers and lakes, the Big Jump seeks to build support for efforts to protect and restore Europe’s freshwater systems - the goal of the EU’s world-leading Water Framework Directive (WFD). This directive is now under review and the Big Jump 2018 sent a clear message to the continent’s decision-makers to not weaken these laws, but to implement them. The Water Framework Directive is currently undergoing its standard review in the form of a ‘fitness check’. Every piece of EU legislation goes through this process. The fitness check will look at the relevance, effectiveness, efficiency, coherence and EU added value of the Water Framework Directive (and its 'daughters') and the Floods Directive. This will include a stakeholder consultation and a public consultation, which is expected to be launched in September 2018. Big Jump event in Marchegg, Austria.